One of my favorite sandwiches is a BLT no T. My friend Darlynn and I order this together and always get comments or strange looks - yes we eat bacon and lettuce sandwiches, don't judge. Over time, I have taken this sandwich and elevated it to adding Avocado instead of tomatoes and sometimes an egg which makes a perfect breakfast sandwich. One day with an empty fridge, I decided to make my favorite sandwich and turn it into a salad. This has become a go to meal for me on any day of the week. While I am not a fan of raw tomatoes, I LOVE roasted cherry tomatoes and eat them like candy. Adding them to a salad with arugula, bacon, avocado and a soft boiled egg equals delicious perfection. This salad is super easy to make and you will be eating it in less than 20 minutes after prep. Make your roasted Bacon and roasted tomatoes at the same time. Drizzle olive oil over the tomatoes and season with salt and pepper. Place on a foil lined pan. 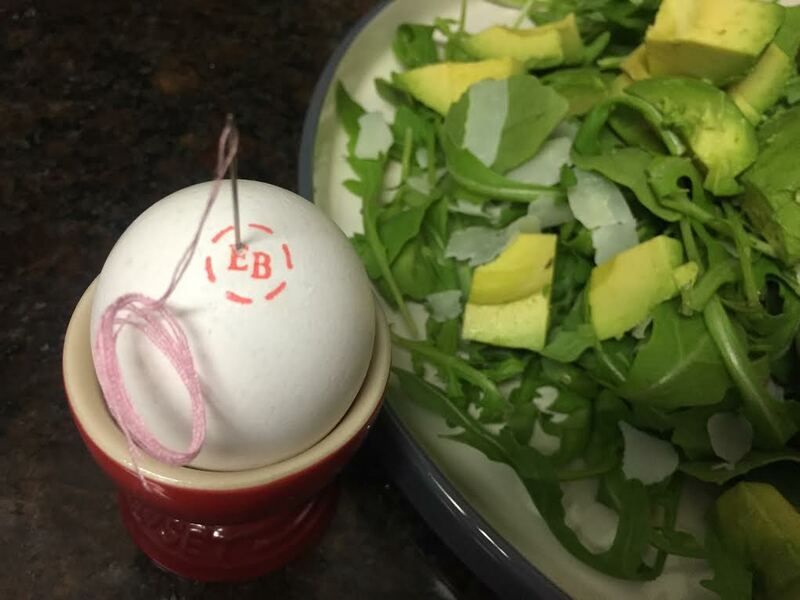 Place arugula on a plate, top with diced avocado, Parmesan cheese, bacon, roasted tomatoes and soft boiled egg. Drizzle balsamic and oil for a salad dressing if wanted. When your water is boiling, prick the wide end of an egg with a egg prick (I used a needle). Boil for 4-5 minutes and place in cold water. Gently peel. 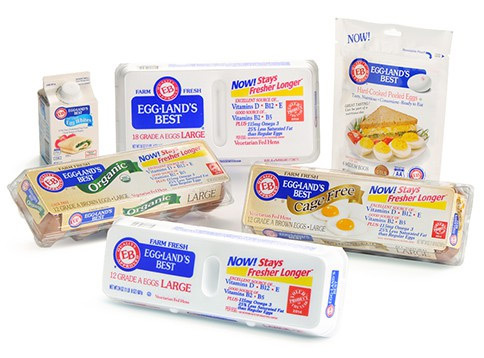 We only use Eggland's Best eggs in our house.